Happy January all! I hope your first weekend in the New Year was the perfect mixture of fun, relaxation and productivity! My weekend had just about all of that, thankful to the sun coming out. We needed a bit of a pick me up to get us out of the winter funk! 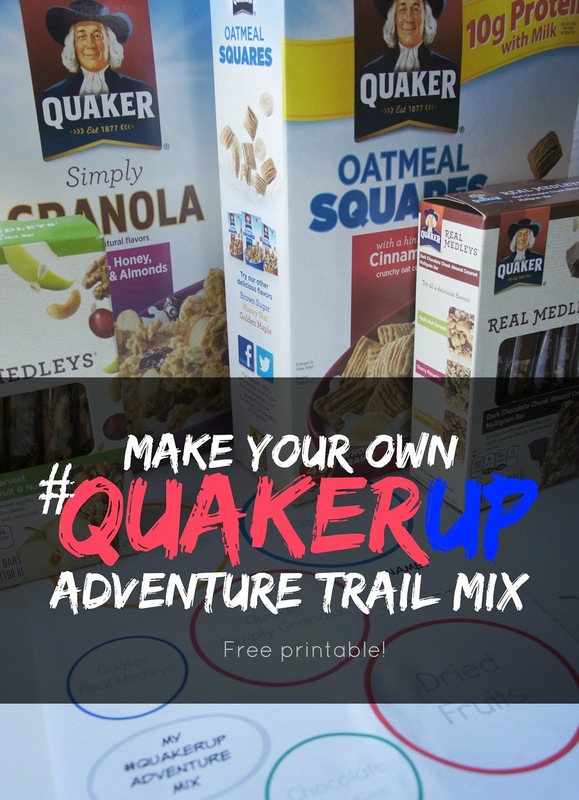 So while the kids played outside, I layed out all of our favorite Quaker®cereal items so they could create their own #QuakerUp adventure mix! 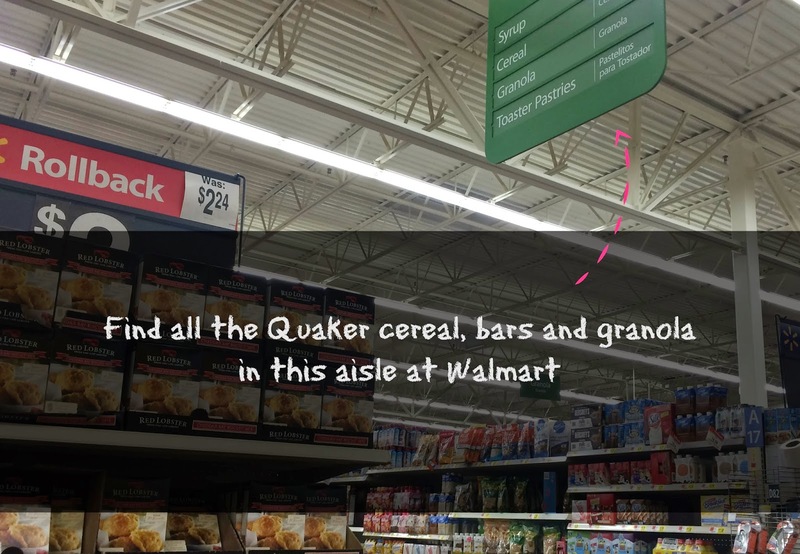 To make the trail mix, I picked up all the items at Walmart: Quaker® Life Cereal, Quaker® Oatmeal Squares (Cinnamon is my fave), Quaker® Real Medleys Bars (I chopped into pieces) and Quaker® Simply Granola in the cereal aisle. You can include your favorite items, but I added some chocolate, peanuts, pretzels and dried fruits to the mix. 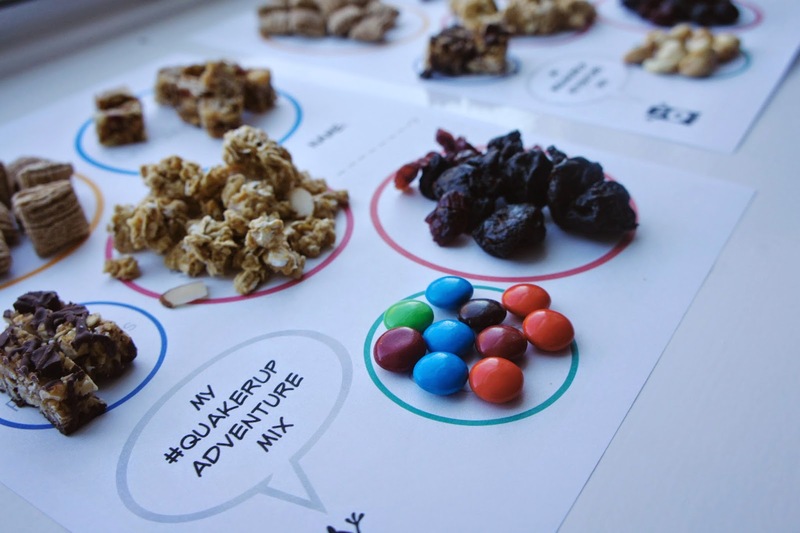 I grouped them out this cute printable and let the kids pick and choose their own. 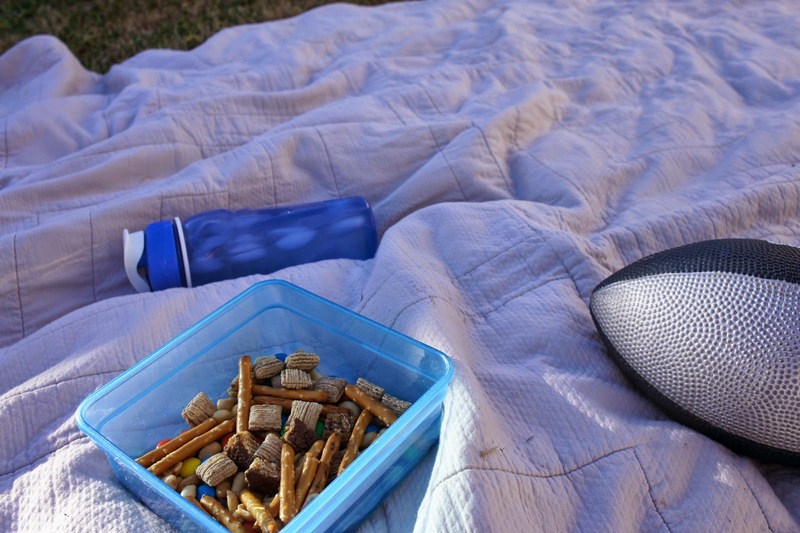 You'd be surprised at how a little sun, snacks and a blanket on the grass can really improve our day! I sat out and watched them run football passing drills with their daddy. Yes, both son and daughter love testing theirs skills at almost any sport. I felt that this was a better alternative for us and will surely make more to just have all day, every day in our pantry. We also placed in these plastic containers, so they are easy to pick up and go, and won't turn to crumbs in my tote bag. So how will you #QuakerUp your weekend? 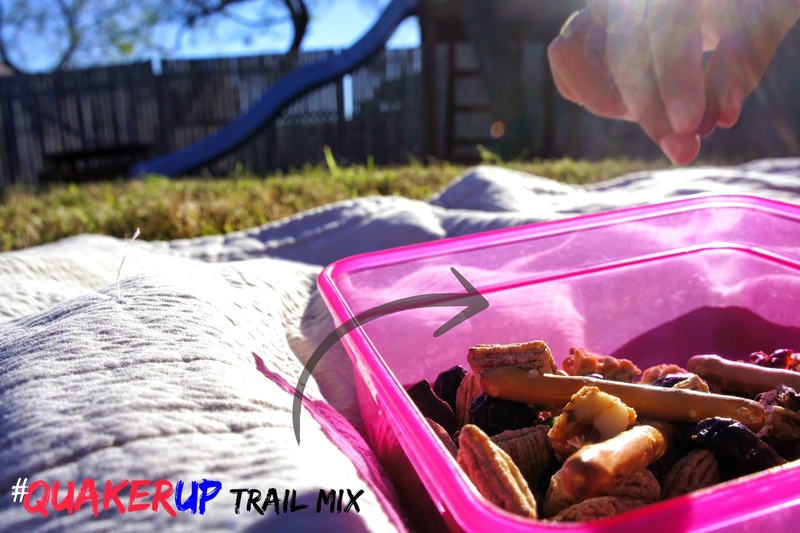 What are you favorite items to add to trail mix?